I’m still trying to perfect the art of facial contouring but I think that with time and practice I am getting better and better at it. I have to admit, contouring wasn’t a term I really ever used in my makeup vocabulary and I never really understood the effects it can have on your face and makeup when done correctly. I decided to buy a facial contouring brush and give it a go! I wasn’t expecting a miraculous difference between not contouring and contouring bur I was please surprised by what a difference it actually ended up making. I almost always stuck to using this brush when I contour my face. It seems to always get the job done and leaves me satisfied with the results. The handle of the brush is long and narrows itself down to the tip. Even though the handle is long, it still gives me plenty of control when using the brush. The tip of the brush is rounded with a thin tip. Something else that I really like about this brush is the clear cap that comes with it. It’s not just a cheap plastic wrapper that falls apart and can’t be used again after removal. 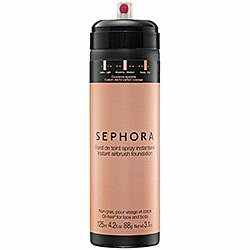 This keeps the brush bristles safe and protected from damage as well as germs and other makeup residues. I’ve washed this brush plenty of times too and it remains in excellent/like-new condition. The bristles haven’t had any shedding or fraying. 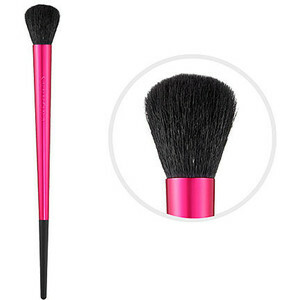 This brush can be used for any type of powder makeup but I prefer to use it specifically for applying bronzer. For the most part, I like this brush but I can’t help but to think that it may have been cheaply made. I’ve had this brush for well over a year now but a couple of months into having it, the actual bristle head popped right out. I was able to repair it by gluing the base of the bristle head back into the top of the brush handle and it hasn’t happened since. I probably managed to get the lemon of the bunch (go figure-of course I would). Aside from that little fiasco the brush has been working out for the most part. It does shed on occasion but nothing significant and not to the extent that I’m leaving a trail of bristle hairs across my face….just an occasional one here and there. The bristles are not super soft and are actual more coarse….so for those of you that like that super soft bristled brushes, this one isn’t for you. 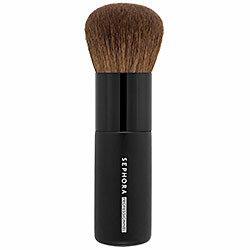 I think that the firmer and coarser bristles on this brush help it to make applying bronzer easier because it allows for more control and allows you to build and blend the bronzer while controlling the coverage. I think if you wear bronzer, this brush (or one similar to it) is a must have…hopefully though, you get one that doesn’t fall apart. 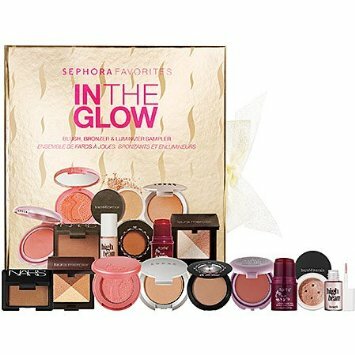 Here is yet another boxed set from Sephora that I couldn’t resist and had to buy…. 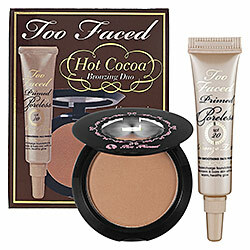 I like all the products in this set but there are some that I like more than others. 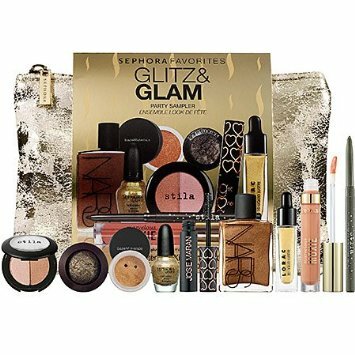 First off, this is a glitz and glam set so there’s a lot of shimmer and sparkle. Personally, I do not care to shimmer and sparkle with my makeup on a daily basis. So with that said, these aren’t items that I would wear on a daily basis. These are items that I would wear more on for a night out or some special occasion where my regular makeup look just won’t cut it. 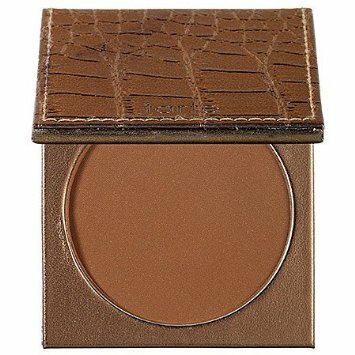 Stila Duo Shimmer Powder in Kitten: These shades are cute and I feel like they are not too shimmery to the point that I couldn’t get away with incorporating them into my regular makeup routine to mix it up a little here and there. 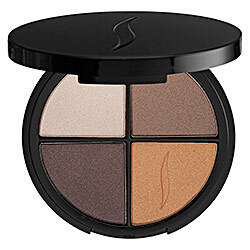 Laura Mercier Baked Eye Color in Black Karat: This can be used wet or dry. I feel I am more inclined to use this as an eyeliner instead of an eye shadow. Definitely not one that I would wear daily. 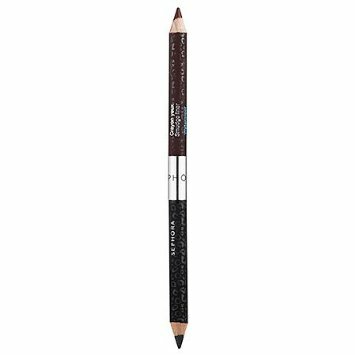 Bare Minerals Eye Color in Good Fortune: I really like Bare Minerals makeup and have used a lot of their eye color in the past. I have some other shimmery shades of theirs and I tend to use them more as an eye liner than an eye shadow. I normally will draw a very thin fine line above my lash line or overtop of black eye liner because it doesn’t look ridiculously shimmery and it gives my eyes a little pop (especially when paired up with black liner). 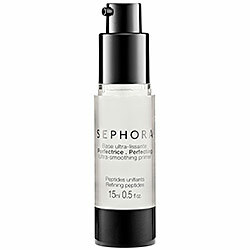 Sephora by O.P.I. Nail Color in It Looks Like Rain Dear: Funny gold glittery nail color. Once again, definitely not something that I would want on my nails for a day to day look. (It kind of screams Christmas or New Year’s to me). 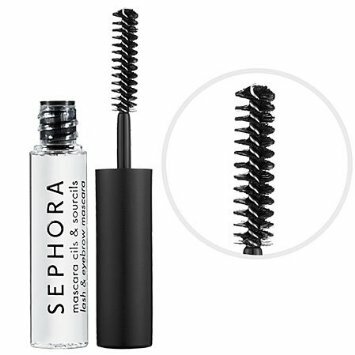 Josie Maran Gogo Instant Natural Volume Argan Mascara in Black: I’ve used this mascara in the past because I got it in another boxed set or as a sample from somewhere. 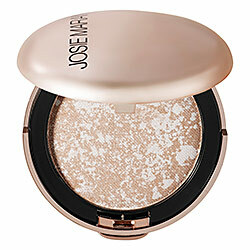 I normally really like Josie’s products but this is one that I would never buy the full size of. The last tube of it that I had seemed to dry out incredibly fast. I don’t leave the wand out or the lid loose either so I know that it didn’t dry out because I neglected to put the lid on it correctly or forgot to put the lid on period. This one isn’t dry (yet) but it tends to go on my lashes really heavily translating into a mess because then my lashes all clump together (as does the mascara). So this one really isn’t a winner for me. Nars Body Glow: I love this stuff. 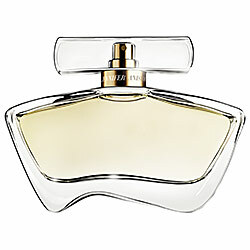 Not to mention, I really love the scent of it! It just seems very beachy and tropical to me. It gives skin the perfect glow as well. 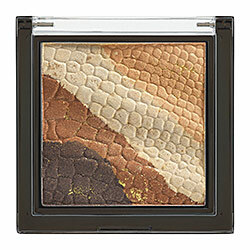 Lorac 3D Liquid Lustre Gold: Haven’t tried this one yet so I can’t comment on how I like yet. Bare Escentuals Marvelous Moxie Lip Gloss in Trail Blazer: I like this. I like the color a lot. I tend to look lip gloss shades that are lighter and not over the top or too bright (those just don’t seem to work on me!) 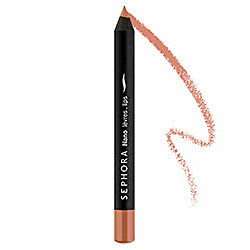 This shade suits me well and the angled wand applicator makes applying the gloss easy. It doesn’t feel too heavy, thick or goopy. (I don’t go overboard though with applying it because I prefer a thin layer of gloss). It has a minty taste and tingle to it. It’s big too….it will definitely last a while. This is something that I would use daily. 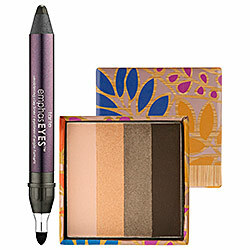 Stila Smudge Stick Waterproof Eye Liner in Starfish: Haven’t tried this one yet so I can’t comment on how I like it. Clutch: The clutch is probably one of my favorite pieces to this set :) It’s fun and shimmery and holds a good amount of makeup. I was desperately in need of a new one. I would recommend this set if you like a lot of shimmer and sparkle. 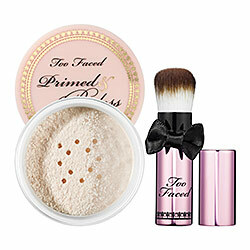 I like being able to try these products and have them on hand for when an occasion pops up and I want to incorporate some shimmer and sparkle into my makeup routine. Like I said, since I wouldn’t normally wear these on a regular basis they will last me awhile and buying this set is much more practical for me than purchasing these items in their full sizes. I’m a sucker for Sephora’s boxed sets. They get me every time. I think I have purchased every box set they’ve had available over the past year that was stocked full of makeup goodies. 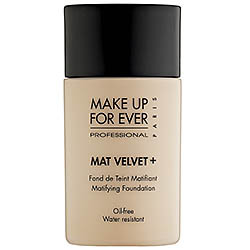 They always have a ton of products that I want to try and I just hate shelling out money for a full sized product that I’m not completely sure I will love. This is by far the best way to test all the latest, greatest and hottest makeup products available without buying them separately. I like all the items in this set. I have used a few of them in the past, so I knew I already liked them. Since it’s spring now, I like to have more of a golden glow and there’s a lot of great products in here that give me that. Plus, I can use different ones on different days and don’t have to use the same product day in and day out. I would definitely recommend this set….you can’t beat the price!